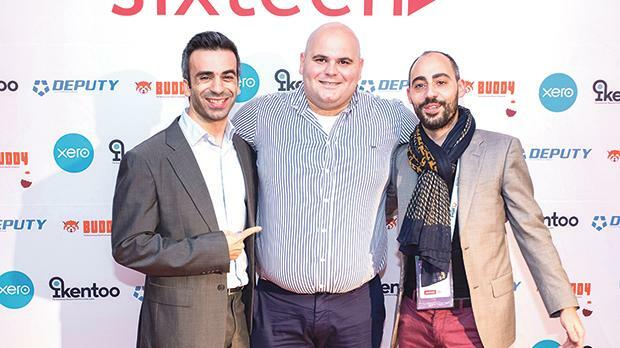 At the launch of Buddy, (from left) Dimitris Litsikakis, Revolut country manager (Cyprus, Greece and Malta), David Seisun, Buddy CEO, and Philippe Maurice Mifsud, Revolut country ambassador (Malta). “Reliable, cost-effective and efficient.” This is how David Seisun, director of Sixteen Ltd and CEO of Buddy Ltd, described Buddy during its launch. This innovative software has been created with one principal aim in mind: renovating the old and tedious payroll system and updating it to be a simple routine task that can be executed within minutes. The primary tasks that Buddy would want to be used for are payroll and people management. Ideal not only for start-up companies but also larger enterprises, Buddy will facilitate leave management, bulk salary adjustments and serve as an employee portal where every individual can access their relevant company information, starting from monthly payslips to accumulative attendance reports. Another innovative element about Buddy is Revolut, the digital banking alternative that puts clients back in control of their money with instant payment notifications and built-in budgeting. The easy payment system has been a revelation for Malta both on an individual and a business level. Hence, it was only natural that Revolut found itself integrated with the newest way for businesses to handle their payroll and accounts. This integration makes Buddy the first payroll software to connect to Revolut on a national and international level. With Buddy being the first payroll software available internationally that integrates well with Revolut, business flow is optimised and payroll transactions become faster, easier and improve overall efficiency. The benefits of using Revolut for business together with Buddy also reduces processing and transactional costs and allows for commission free multi-currency payments. With this simple payroll flow, business owners can now include all employee details, link their Revolut accounts and send out their payments instantly, eliminating the annoying bank delays, and several questions asked by employees about when their payment will be issued. The Christmas holiday season is easily one of the busiest times of the year, with millions of people looking to travel abroad for some much-needed winter sun, or to reunite with family, friends and loved ones. Revolut ensures that clients do not suffer crippling fees, and offers a radically better app that gives them full control over finances. To sweeten the deal, Revolut has extended their free card campaign to all Buddy employees, so that they can order their first Revolut card free of charge.